After a long time I am finally able to post some of my arts again. At least I was able to upload my TwilightSanta gift. 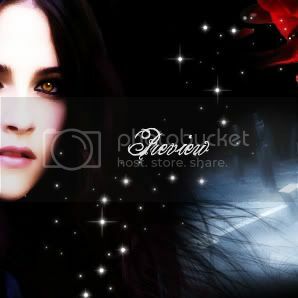 I just went through my photobucket and found some icons which I never posted, well so far never posted. I thought I should give it a go now. It's from the beautiful new show Arielle and the movie Hairspray, as well as one from the amazing Sarah Michelle Gellar. There is also a Hairspray Banner. So, here they are, my very first ever Vintage Icons. I found the pictures on the net and really loved them. I am not so much of a fangirl, that I need celebrity pictures, so I hope there are people out there that do appreciate those icons as well. I started the background ages ago, but had a different person in the pictures, which I never finished. But yesterday it got really easy, And I am fairly happy with it. Not doing alot during these last month feels strange, I feel like I cannot do everything as good as I was before. Oh I almost forgot some of my cards I made. I don't find all of them right now, but I post the two that I did find. Esp. since one of them is a Halloween Card. Happy Halloween everyone. I love this holiday. Hope you all get some time to celebrate. This page was loaded Apr 21st 2019, 4:09 pm GMT.